When we started Hatarilabs our aim was to create a technical blog about software in water resources, mainly in data processing and modeling. 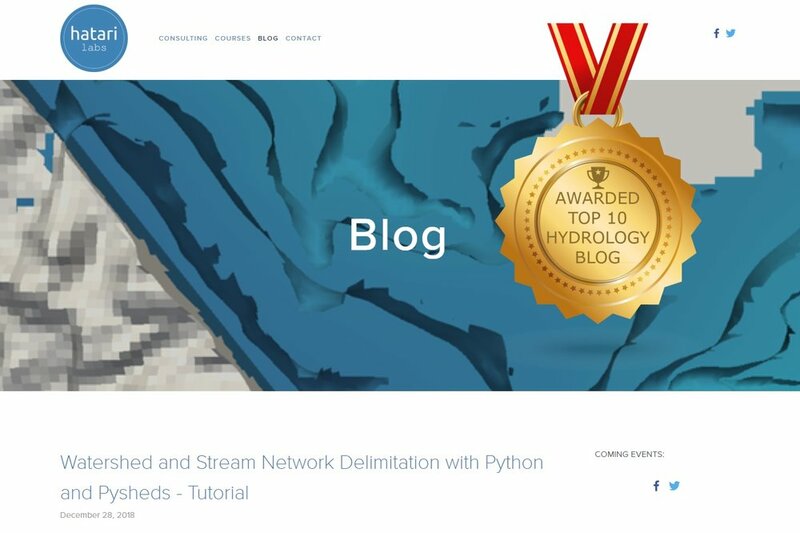 There wasn’t any specific plan or strategy to increase the relevance of the blog, just the desire to create a space for promoting open source software on hydrology, hydrogeology and GIS. On the early weeks of the blog the number of visits was scarce, and we had a dilemma of why we create so much content if the audience was so small. Still, we can not declare that we have a huge blog, but we are growing. By the end of 2018 we have reached more than 1000 visits per day, more than 2500 Facebook followers, and more than 1500 Youtube followers. There is a lot of tutorials to post in the future, and we will do it with passion. We recieve this recognition by Feedspot with great humility and the compromise to improve our content everyday to provide a platform for the capacity building of professionals in water resources.